This blog entry is brought to you from someone just coming out of the revision cave. I never thought this day would come. When I finished the first draft of my current project I wasn’t excited, because I knew what came next. The reread, the rewrite, the revision. All those sections where I had skipped description, flaked on dialogue and used the same cliché lines over and over. They were coming back to haunt me. Some people love the rewrite because that’s where your draft becomes a book. But for me, I saw a long road ahead. I feared growing bored of my manuscript and losing my passion. Some authors talked about how their novels were on revision number 15 or 20! The numbers weren’t surprising, but I still found myself in awe. How do you reread your book that many times? How do you remain passionate about it? I’d done the hard part. I wrote the first draft, but now it felt like there was a mountain of work left ahead of me. In my head, my draft would remain a draft throughout revision 1 and then 2 and so on and so on. There is no answer for how many revisions it takes for a draft to turn into a completed manuscript, and that is terrifying. But you have to start doing it. They say you can’t edit a blank page, and you can’t get a finished man script without doing some revisions. I started by doing a quick reread. In a notebook I wrote the chapter, page, and any glaring plot holes that needed immediate attention. You need to fix the story first before you can nitpick little details and grammar. I made my list of concerns and then got to work, one chapter at a time. After that initial read through I did it again. What are the plot holes? Do the chapters have solid endings and goals? If you have a beta reader now is the time to give it to them so they can point the most glaring issues. By this time you should have the main structure of your story. Now you can start looking at other details. Always be on the lookout for character arc and plot holes. For me, I do an entire read looking for specific items: Romance progression, character progression, pacing, ext. This helps me focus on just one aspect of my novel so I don’t get bogged down. And this usually encompasses revisions 3,4, and 5. At some point you are so used to looking at the manuscript with a critical eye, it becomes instinct. Now, I can’t look at my MS without doing some form of edits. I have moments where I think my book is in its final stages and days where I feel like I’ve fallen to the bottom of the mountain again. 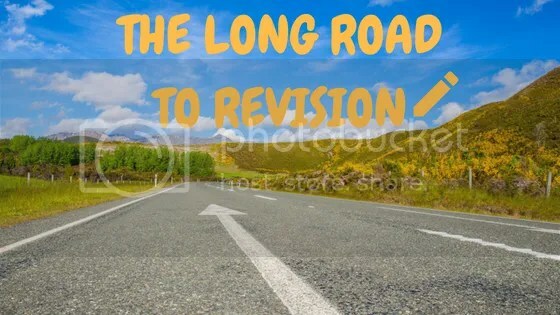 The road to revision never feels like it will never be finished but eventually, that story will be done. You just have to start before seeing results.